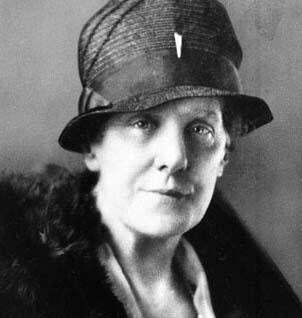 Anna Jarvis grew up in the mid 19th century in the small town of Webster, West Virginia. Her mother died when Anna was 43 and, two year's after the death, she decided to hold a memorial to her mother. She liked the concept so much she went on a campaign to make it make "Mother's Day" a recognized national holiday, which occurred in 1914. She was quickly disturbed by how commercialized the holiday became and teamed up with her sister to spend their family inheritance campaigning against the holiday she helped create. They both died while living in poverty. Ironically, she never became a mother herself. When we asked: What's Your Mom's Car? we got a nice tribute from Tonyola, who celebrates mom with each turn of the wheel. Mom's last car was a '94 metallic-blue LeSabre bought new. She and Dad drove it on a few long trips, but after Dad died in '96, the Buick was relegated to mostly around-town duty. Aware of her limitations after surgery at age 77, Mom stopped driving in 2000, and the car basically sat in the garage - maintained but driven only on rare occasions by a family friend running Mom on errands. Mom gave me the car last year - in pristine shape with only 27,000 miles on the odometer. It's my daily driver now, and it's a constant reminder of Mom, who peacefully passed away late last fall. Anna Jarvis would like the sentiment, we think.